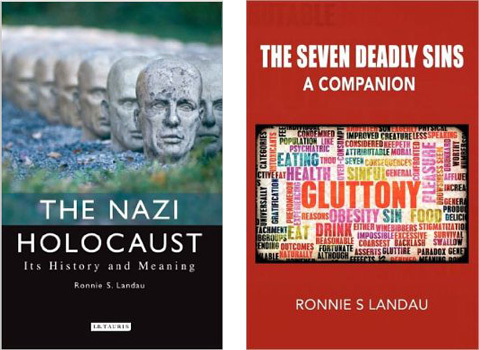 Ronnie Landau is both a Classicist and modern European historian. A widely published author, his books are used extensively throughout the British and American university systems. A highly experienced, passionate and entertaining speaker, he is formerly Head of Humanities and Principal Lecturer in Europe�s leading adult education centre (The City Literary Institute, London). 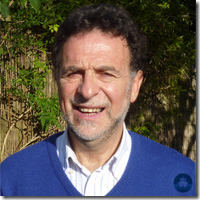 He has lectured on four continents: in numerous universities (including Oxford, Cambridge, Sussex, LSE, UCL, Kent, Bristol and Jerusalem); in many adult education centres and museums (including London�s Imperial War Museum); and at conferences (including those in Germany, Russia, South Africa, Israel and the United States). He has taught and lectured to thousands of students over the past four decades and also has broadcasting experience on radio and television. While his sessions are illuminating, authoritative and thought-provoking, his style is relaxed, accessible and full of humour. A fluent reader of ancient Greek and Latin, his areas of specialisation for cruise ships would be a) Graeco-Roman civilisation: ie history, literature, philosophy, religion, languages and culture of ancient Greece and/or Rome; & b) History of Israel, ancient and modern (also modern European Jewish history). He can also offer �enrichment� sessions on a variety of topics, including The Seven Deadly Sins, on which he has written an amusing book, and international human rights on which he is currently a speaker on behalf of Amnesty International. 1. Just what is so special about the ancient Greeks (ie the uniqueness of their contribution to us all)? 12. The birth of modern Israel: controversial, �miraculous� and just plain crazy! 20. International Human Rights � the work of Amnesty International. 21. The Wonder of English: the meaning and curious origin of well-known phrases. 22. From Byzantium to Constantinople to Istanbul: a cultural crossroads across the ages. 23. World War 1: Gallipoli - disaster for the Allies; a turning point in Turkish history. 24. Odessa: city of Light and Enlightenment in the darkness of Tsarist Russia. 25. Carthage, a worthy adversary of ancient Rome. Have lectured in past three years on cruises with Viking, Fred Olsen, Saga and Thomson. Was enthusiastically received on all occasions! Have just completed Dubai-to-Naples leg of World Cruise on Black Watch (Fred Olsen). 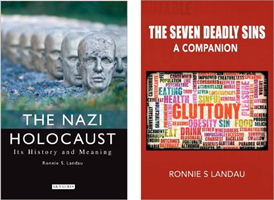 Delivered 5 completely different lectures: on Petra, Classical Greek civilisation, the Suez Crisis of 1956, Pompeii; and the Seven Deadly Sins (based on one of my books).